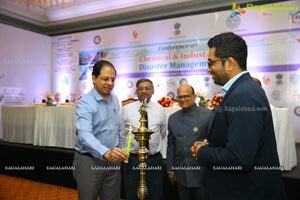 Hyderabad, October 11th, 2017 : The three day Conference on Chemical (Industrial) Disaster Management (CIDM) (from October 11-13, 2017), was formally inaugurated by Shri Ahmed Nadeem. 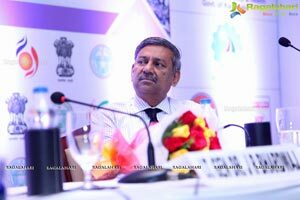 IAS, Commissioner, Labour, Employment Training & Factories Government of Telangana on Wednesday at ITC Kakatiya. 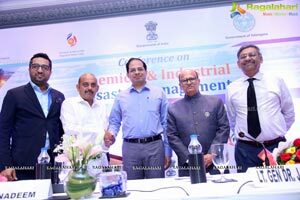 The Conference is being jointly hosted by FICCI along with Petroleum & Natural Gas Regulatory Board (PNGRB), Government of India,National Disaster Management Authority, Government of India and Government of Telangana, as the host State. 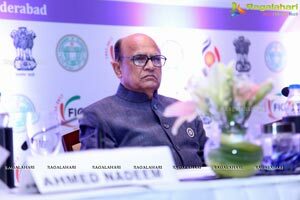 On this occasion Shri Ahmed Nadeem. 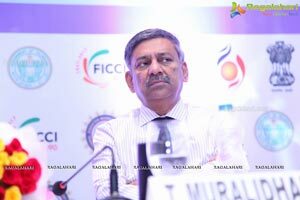 IAS, Commissioner, Labour, Employment Training & Factories Government of Telangana: said Though there have been a number of serious disasters, the learning process needs consolidation Greater awareness in larger Industries, but the awareness and dissemination of knowledge has to permeate to SMEs Appreciated the fact that this conference gives an opportunity to hear the experts on the subject having a mock drill exercise on the third day will also contribute to the learning process. 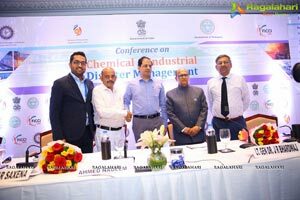 highlights the fact that Chemical Industrial Disaster Management is a subject of great urgency which affects human-kind. 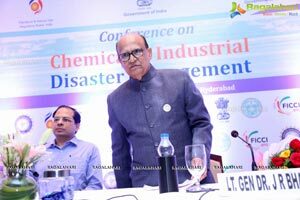 The sheer enormity of a chemical accident and its irrevocable consequences for employees, stakeholders and neighbouring communities; demands that every effort must be made to ensure and stop chemical disasters. 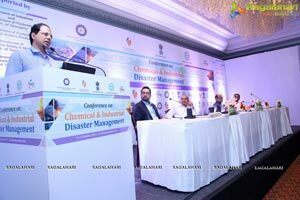 To that end, joint conferences on chemical industrial disaster management are made especially giving importance to prevention and management of chemical and industrial disasters which has been the focus for Industry Chambers like FICCI for more than twenty years. 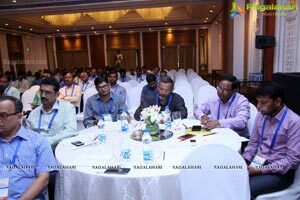 The main focus of the conference is to make industry globally safe by better emergency planning of accidents – onsite, offsite including isolated storage and special emphasis on chemical emissions. 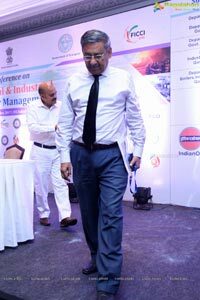 The conference will also provide a platform to companies to share their success stories, best practices and technologies to minimize accidents on production site and during transportation of Chemicals, Hazardous / Toxic Substances, Petroleum Products and Gases either through Pipelines or POL tankers. The conference is also providing opportunity of hands on training and capacity development of on-site and off-site responders during emergencies. 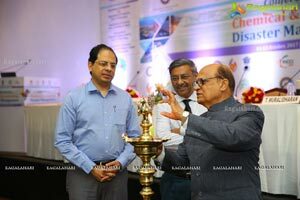 A Mock Drill Exercise is being conducted in IOCL (Bottling Plant), Charlapally Industrial Area, Charlapally, Hyderabad, at 9.30 a.m. on October 13, 2017.
the chemical industry in the country to gain knowledge and keep pace with the best global practices on environment, safety, transportation of hazardous materials, storages and health management, which could possibly be introduced in their operations wherever gaps exist. 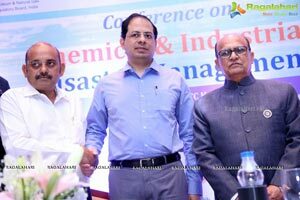 Telangana state has major industries like Information Technology, Pharmaceuticals, Biotechnology, Manufacturing and Aviation/Defense. Industrial hazards occur mostly due to accidents during chemical processing, manufacturing, storage, transport and disposal of toxic waste. 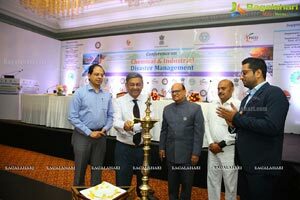 The State is exposed to cyclones, storm surges, floods and droughts. A moderate to severe intensity cyclone can be expected to make landfall every two to three years. Approximately 44 percent of the state is vulnerable to tropical storms and related hazards. In India, the cyclones develop in the pre-monsoon (April to May) and post-monsoon seasons (October to December), but most of them tend to form in the month of November. 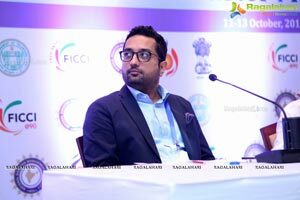 Cyclones on the east coast originate in the Bay of Bengal, the Andaman Sea or the South China Sea, and usually reach the coastline of Tamil Nadu, Telangana, Andhra Pradesh, Odisha and West Bengal. Recently, thunderstorm associated with heavy rain and gusty winds occurred at isolated places in all the districts of Telangana due to a cyclonic circulation over the State. Chemical accidents can occur due to lack of safety measure, technical break down, or due to a human error. It is, thereby, initiates a series of uncontrolled physio-chemical phenomenon such as runaway chemical reactions, large spills, fires and explosions. These phenomenon eventually targets both human and non-human in the form of immediate and residual or long term consequences. 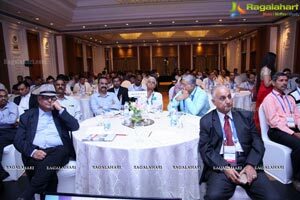 Thus, it is imperative to develop preventive measures like adoption of safer engineering practices, improved performance of safety device and reduction of human errors by regular checks. 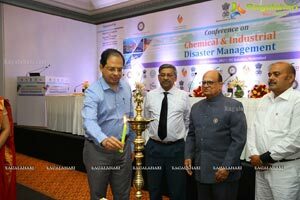 This conference will serve as a platform for exchange of information, best management practices and technical know-how to the entire industry fraternity for disaster risk reduction. 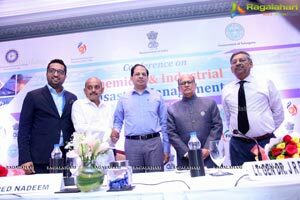 Around 250 Industry delegates (Telangana, Andhra Pradesh, Tamil Nadu, Karnataka, Kerala etc.) 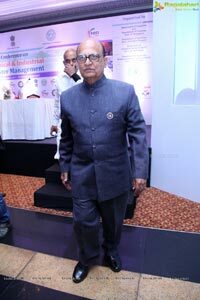 and throughout India, from across sectors including Oil & Gas, Petroleum, Metallurgical, Steel etc. 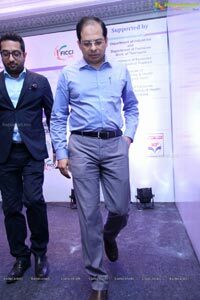 along with key stakeholders from the Government, are participating. 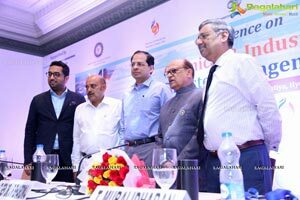 Shri T Muralidharan, Co-Chairman Telangana State Council & Chairman, TMI Group; Lt. Gen Dr J R Bhardwaj, Chairman, Chemical & Industrial Disaster Management; Shri Nirankar Saxena, Assistant Secretary General, Federation of Indian Chambers of Commerce and Industry (FICCI) and Mr. Rubaab Sood, Additional Director, FICCI, are some of the dignitaries, present at the inaugural program.